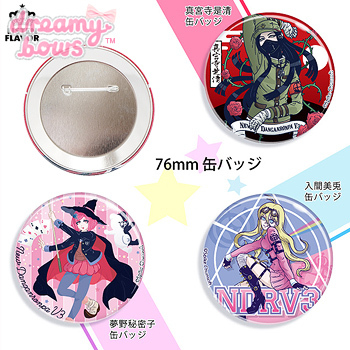 This large sturdy button pin badge is a special Danganronpa collaboration item featuring illustrations by Spike Chunsoft.Co. 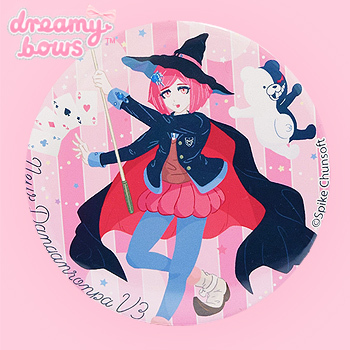 This particular badge features Miu Iruma, who was a talentless girl who later gained the title Ultimate Magician in Danganronpa V3: Killing Harmony. This badge is the perfect way to add a quirky accent to any outfit or bag, and to add a hint of Akihabara anime style to your co-ord with ease. It is of course also perfect for any Danganronpa fan.